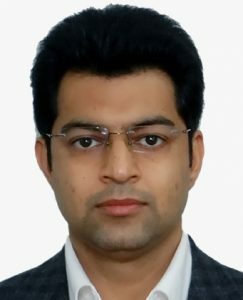 Mr. Amit Seth has an extensive experience in Corporate & Commercial laws, Banking and Finance matters, Employment laws and Real Estate & Municipal laws. He acts as legal advisor to renowned corporate houses including export houses, manufacturers and industrial players in the Healthcare, Hospitality, Real Estate and Education sector. He represents both international and domestic clients for any foreign trade related matters including regulatory compliances before the relevant ministries including Ministry of Commerce and Directorate General of Foreign Trade. He successfully represents many reputed Public and Private Companies and Statutory Corporations in litigation matters before various legal forums and also specializes in all aspects of Matrimonial and family law related matters.